Fly over the world's highest peaks into the Tibetan capital Lhasa, the cultural hub of Tibet. 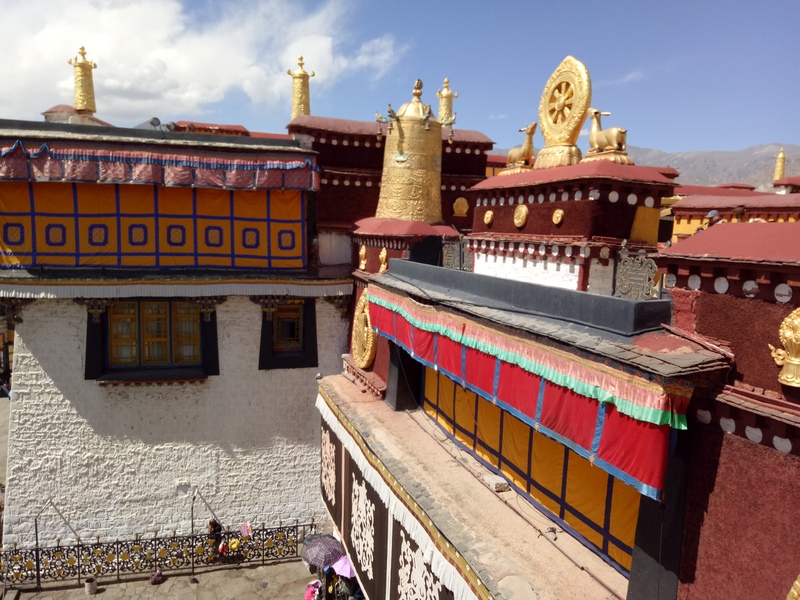 You will spend 4nights and 5days in Lhasa where our local guides will take you around main important monasteries and palaces of Dalai Lama including Sera, Drepung and Norbulinkha monasteries and Potala Palace to explore the historical Tibetan culture and civilization. Group pick up at Airport and transfer to hotel, It takes 2 hours to Lhasa via Yerlung Tsangpo river and Lhasa Kyichu River. Morning visit Potala palace, the seat of both religion and politics in Tibet. It was built in the 7th century by Tibetan king Songtsen Gampo and later renovated by the 5th Dalai Lama in the 17th century. Afternoon visit Sera monastery, 5 km north of Lhasa city. It was built in 1419 by Jamchen Choeji, a disciple of Tsongkhapa, founder of the Gelugpa sect. Sera is one of the three major monasteries of the yellow sect in Tibet. Morning visit Drepung monastery, the largest Monastery of the Gelugpa sect in Lhasa. It was built in 1416 by Jamyang chojie a disciple of Tsongkhapa. Afternoon visit Jokhang Temple and Barkhor market; this is the holiest shrine in Tibet with houses of golden statues of the Buddha Shakyamuni, brought to Tibet by the Chinese princess Wenchen. Visit Norbulingkha, the summer palace of the Dalai Lamas, built in the 18th century.Norbu Lingka has four marjor palace complexes, Kelsang Potrang, Tsokyil Potrang,Takten Migyur Potrang and Chensel Potrang.The palacese consist of no less than 400 rooms and chapels. Drive to Lhasa airport and flight to next destination. NOTE:*** This trip itinerary can be changed or modified as per your time, requirement and interest. Cost of This Trip: depend on your group size and your requirements. Please e-mail us for a special price quote. For more information and booking this trip, please contact us in advance. Thank you for your time. Group pick up at Lhasa Airport and transfer to hotel, after rest for acclimatization in the hotel. Morning visit Potala palace, the seat of the both religion and politics in Tibet. It was built in the 7th century by Tibetan king Songtsen Gampo and later renovated by the 5th Dalai Lama in the 14th century.Afternoon visit Sera monastery 5km north of Lhasa City, it was built in 1419 by Jamchen Choejie, a disciple of Tsongkapa, and the founder of the Gelugpa sect. Sera is one of the three major monasteries of yellow sect in Tibet. Morning visit Drepung monastery, which is the largest monastery of the Gelugpa sect in Lhasa, it was built in 1416 by Jamyang Choejie, a disciple of Tsongkhapa.Afternoon visit Norbulingkha the summer palace of the Dalai Lamas which was built in 18th century,Jokhang temple and Barkhor market,this is the holiest shrine in Tibet and houses a golden statue of the Buddha Shakyamuni, which was brought to Tibet by Chinese princess Wenchen. 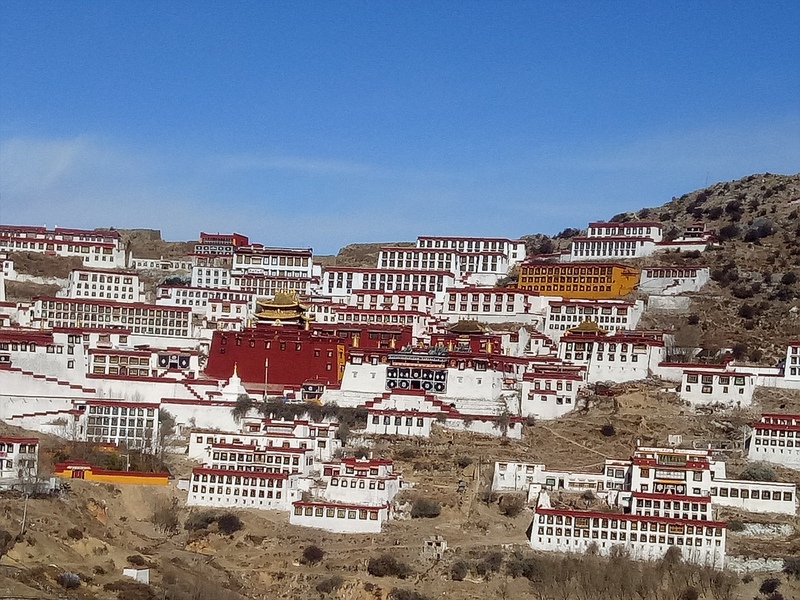 Lhasa-Shigatse,it takes 6 hours driving,visit the Tashi Lunpo monastery, which is the seat of the Panchen Lamas. Shigatse-Gyangtse,Gyangtse is the bustling town steeped in history, in the 15th century, it serves the capital of a small kingdom.The beautiful Kumbum Chorten (stupa) built around 1400AD and the huge ruined castle. Gyangtse-Tsedang. It takes 7 hours crossing over Karolapass-5050m,Mt.Nyechen Kangsar 7190m,Yamdrok Lake 4340m, and Kambala pass 4750m. Morning visit Yumbulakhang palace which is the earliest Buddhist Temple in Tibet. Afternoon visit Tangdruk temple which is located 30 kilometers from the center of Tsedang. Tsedang drive to Lhasa Airport and flight to next destination. Group pick up at Lhasa airport and transfer to hotel.It takes 2 hours to Lhasa via Yarlung Tsangpo river and Lhasa Kyichu river. 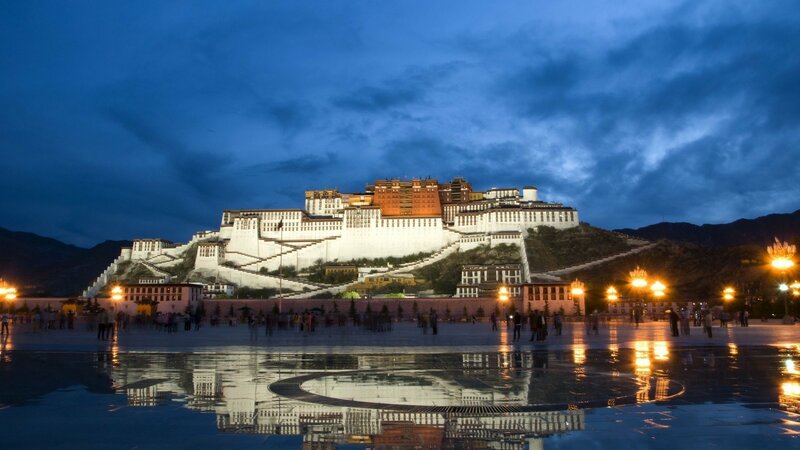 Morning visit Potala palace, the seat of the both religion and politics in Tibet. It was built in the 7th century by Tibetan king Songtsen Gampo and later renovated by the 5th Dalai Lama in the 17th century. Afternoon visit Sera monastery 5 kilometer north of Lhasa city, it was built in 1419 by Jamchen Choejie, a disciple of Tsongkapa, the founder Of the Gelugpa sect. Sera are one of the three major monasteries of yellow sect in Tibet. Morning visit Drepung monastery, which is the largest monastery Of the Gelugpa sect in Lhasa, it was built in 1416 by Jamyang Choejie, a Disciple of Tsongkhapa.Afternoon visit Norbu Lingkha the summer palace of the Dalai Lamas which was built in 18th century, Jokhang temple and Barkhor market, this is the holiest shrine in Tibet and houses a golden statue of the Buddha Shakyamuni, which was brought to Tibet by Chinese princess Wenchen. Lhasa drive to Namtso lake, which is the highest lake. It covers an area of about 1,920 square km from east to west and 300 km from south to north. It is one of the three famous lakes in Tibet. 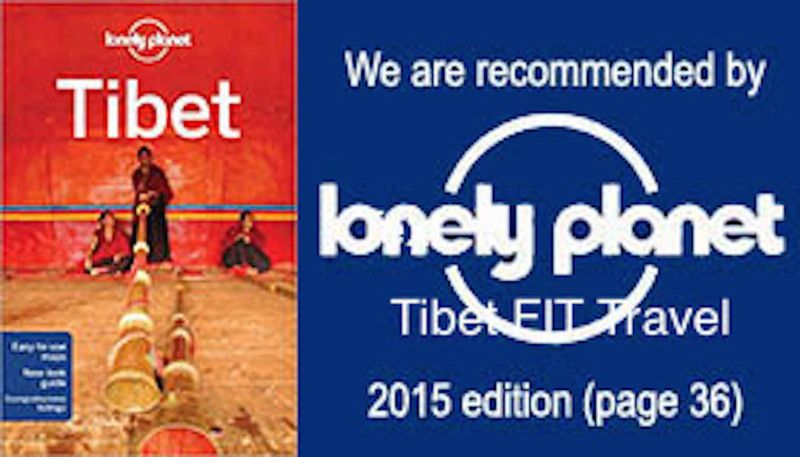 Today you will explore and hike around Lake side, visit Tashi Dor Monastery,Guru Rinpoche caves and Nomads black tents.There you can see beautiful Landscapes of Mt, Nyenchen Thangla range, thousands of nomad Yaks and Sheeps.Namtso is one of the holiest Lake and most of the Tibetans visit there.Namtso means Sky Lake in Tibetan because we can imaging this Lake is seemed very close connection to the Sky. Namtso drive up stream to Phodo Chue, enroute visit Reting monastery constructed in 1056 by Dromtonpa who was the student of the great Bengali Buddhist Master Atisha.Reting is the first Kadampa Monastery in Tibet. It was built in 11 Century by Dromtonpa.The nearly 100 Monks are living at the present days.There are thick juniper trees around the Monastery and also Reting is surrounded By four sacred Mountains, the named as Sheldhen,Serdhen,Zangdhen and Yudhen. Reting monastery drive to Drigung Till monastery. There you can see beautiful route surrounded by Lake or Dam along the way to Drigung.You can also visit Tibetan Nomads house and sharing way of living.There is a Monastery guest house in Drigung. Tibet.Drigungpa sect was founded in the 12th Century by Rinchen Pel,is one of four Marjor Kagyupa Schools.The nearly 150 monks Living at the present days in Drigung Monastery. You can also Visit Tridrum nunnery hot spring,20km from Drigung.Afternoon drive back to Lhasa via visiting Ganden monastery,which was built in 1409 by Tsongkhapa. Lhasa drive to Airport and flight next destination.